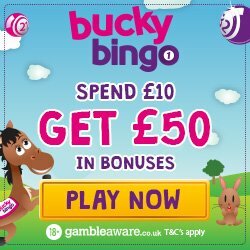 Monster Casino Review - £5 Bonus upon Registration plus 50 Spins! Normally when you think of monsters you imagine vampires and werewolves, but Monster Casino will change your nightmares into a wonderful dream. Place a Bet Online are here to tell you why this Nektan site is ideal for those players, who are after a little something different. The spooky theme is made easier by what can only be described as the cutest monster ever, but it’s their bonuses and games which will really make you shriek! So let’s begin with the games, which on Monster Casino includes casino, scratch cards and video slots such as Mermaids Millions and ShanGriLa. All of the games are mobile compatible, meaning you can expect high quality no matter the size of the screen. Monster Casino is available on desktop, Android, iPhone or Tablet devices, so you can play anytime and anywhere. •	Accepts pay by mobile using Boku. As you would expect from a Nektan site, you can enjoy an array of welcome bonuses including £5 bonus upon registration. This means that by entering a few personal details, you can play around on the site without depositing a penny. 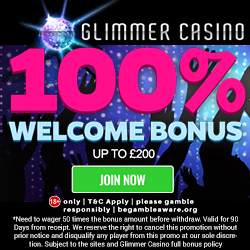 All three bonuses are based on a minimum £10 deposit, but this means that you could enjoy an additional £35 for adding the minimum on each occasion. 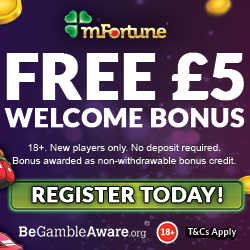 When combined with the credit you’ve added, that would be an amazing £65 and 50 bonus spins. Monster Casino not only bring fantastic welcome offers, but the regular promotions are pretty wonderful too. These include ‘Tuesday Match’ where you can enjoy a 50% bonus offer, ‘Weekend Promo’ with its 100% match and 25 bonus spins, and ‘Bonus Spins Thursdays’ where you can win 20 bonus spins for Aloha slots. As you can see there’s plenty to choose from, so make sure you take a look at what Monster Casino has to offer. The creepiness appears to have infested social media, because Monster Casino has Facebook, Google+, Twitter and You Tube pages. This is where you can discover the latest bumps in the night, including new game launches and promotions. Should you need to contact someone from Monster Casino, simply head to the ‘Contact Us’ section. You’ll see that they offer access to representatives via email, live chat and post. There is an FAQ section for any basic queries on gaming issues and depositing. Monster Casino accept the usual banking methods including Credit and Debit Cards, Skrill, Boku, PayPal and Neteller. If we’ve not scared you off and you’re ready to release those inner gaming demons, then let us take you through to Monster Casino.